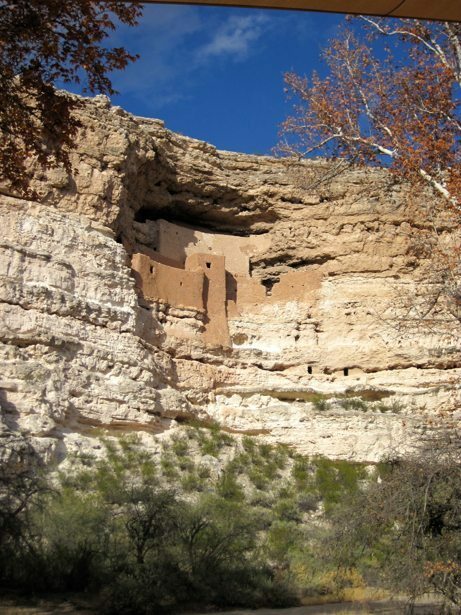 Montezuma Castle National Monument is halfway between Phoenix and Flagstaff in Arizona. It was created back in 1906 when President Roosevelt celebrated the passing of the Antiquities Act by declaring the first 4 National Monuments. 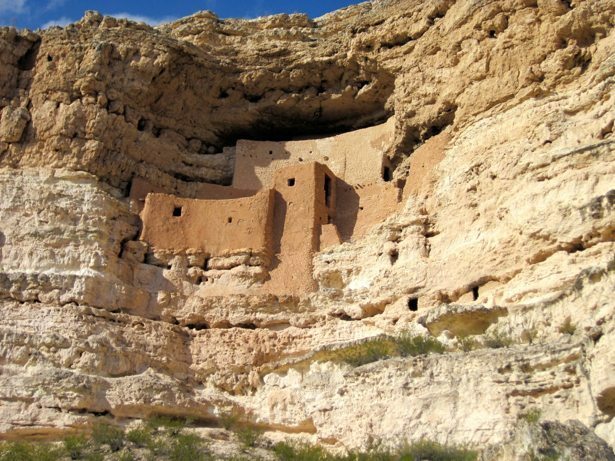 The 20 room high rise “apartment” represents the Sinagua culture and civilization from over 800 years ago. After a very long day of driving yesterday (8+ hours) we had a slow morning at the Distant Drums RV Resort and spent the afternoon just down the road at the National Monument. It is a fairly small “park” but has a great Junior Ranger program. 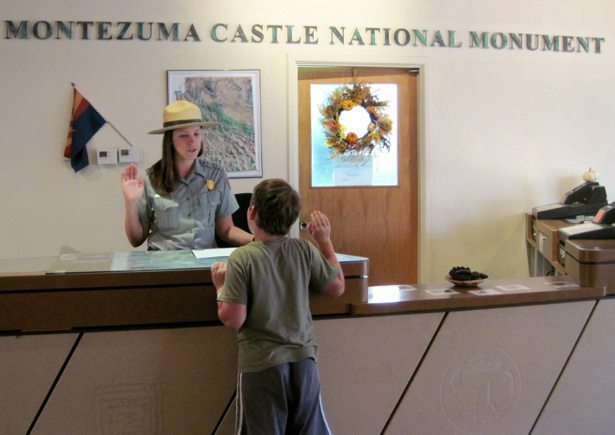 We visited their museum, played with an interactive display that gave you 360 visuals inside the Castle and then wandered out down the paths to experience the Verde River basin and the amazing cave formations. One of the neat things we learned was they made “T” shaped doorways (look carefully in photos) to symbolize that they were a friendly and welcoming community. It was a wonderful learning opportunity about ancient civilizations, relative timelines (when this was happening in North America, the Notre Dame Cathedral in Paris was being built and the ceiling on the sistine chapel was being finished), and how cultures rise and fall due to location, disease and amenities.